So, you’ve made the decision to deck your office out with indoor plants. Maybe you’ve heard how great office plants are for purifying the office air or you’re interested in the power of plants to transform the design and décor of your office. Whatever the reason, we’re so happy you’ve decided to get your hands dirty with indoor plantscapes. But, before you visit your nursery and start bundling a small fernery into your car, it’s important that you know what to look for when choosing indoor plants for your office. 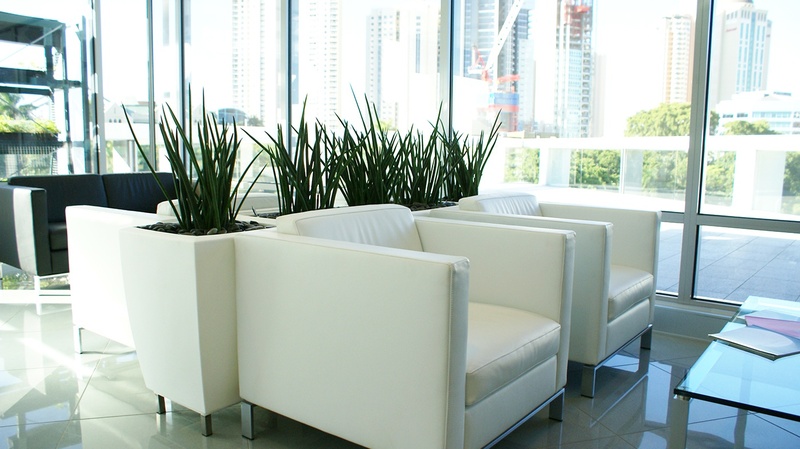 Here’s our go-to guide – ‘7 Things You Should Consider When Choosing Indoor Office Plants’. Having a clear understanding of your objectives and knowing what you hope to achieve by introducing indoor plants into your office environment, is essential. Will the plants serve a functional purpose? Will the plants serve an aesthetic purpose? If you are clear about the reason/s why you want to integrate office plants, you’re more likely to be successful when executing your plan. Reviewing your office layout/design will help you to determine ‘where’ your plants should be positioned. Choose plants that suit the size of your office space. Before you decide to pop a tiny cactus plant on every windowsill (because it looks cute, right?! ), you should always consider your overall design goals and take the space you have available into consideration. For example, if you have a small waiting room area, you may benefit from using plants, clusters of plants or vertical gardens in hallways or foyers to increase kerb appeal and make a lasting first impression. Be sure to choose plants that won’t be hazardous to staff or clients in the workplace because of their species or size. What size plant/s will suit this space best? Will we use desk plants, floor plants or a combination of both? 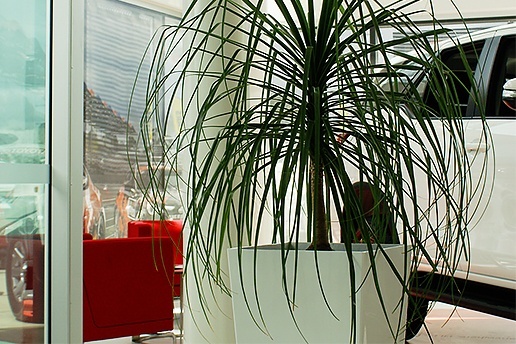 Not all indoor plants suit all office spaces. You need to know what species will be appropriate for your office space. Some species cause allergies, others emit strong aromas and some are not suitable for confined office spaces. If you are unsure about what species will work best for your office space, it’s always best to ask a Professional plant designer for help. What species of plant/s will serve the space best? What species of plant/s will serve the staff and clients best? The number of plants you will require depends on the purpose of the plants and the size of the plants you are using. How many plants will serve this space best? Will this quantity of plants contribute to or detract from our goals? Like real-estate, where you position your plant/s in your office is everything. For example, some indoor plants require low levels of light, but that doesn’t mean that they need ‘NO’ light. Other indoor plants thrive when they receive high levels of light. The location of your plant/s can affect the health of your plant/s and impact their ability to reduce toxins in the air. Where should the plant/s be positioned to best serve our aesthetic/design goals? Where should the plant/s be positioned to best serve our functionality goals? Like goldfish – that don’t survive when they are overfed – one of the biggest reasons indoor plants don’t survive, is due to underwatering or overwatering. It’s a good idea to have a conversation with staff about who will be responsible for caring for the new office guests. Caring for indoor plants involves much more than just watering plants, pruning a few leaves, crossing your fingers and hoping for the best. Using a hand-held moisture metre to make sure soil hydration levels are appropriate. Allocating the responsibility of caring for your plants to a team of people will ensure continuity of care when staff are absent. 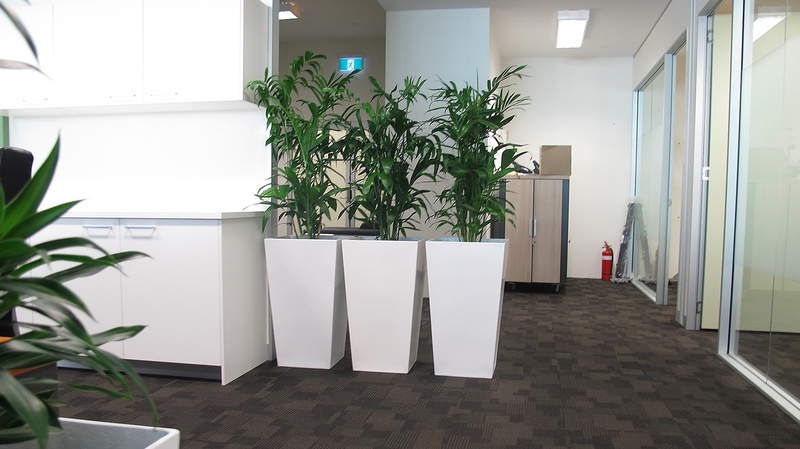 As a result, your staff and clients will reap the rewards of having plants in your office. Who will be responsible for caring for the plant/s? What knowledge/support will they need to care for the plant/s appropriately? Professional plant designers know what factors to consider when adorning office spaces with plant life. For example, they know how certain plants will perform in your office space from an interior design perspective and from an environmental viewpoint as they take temperature control, humidly, light and air quality into consideration. 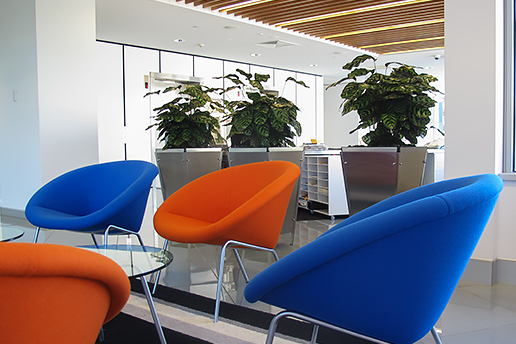 If you’d like some support to design and implement a plantscape that complements your current décor, purifies the air for staff and clients, and improves the productivity of your staff, get in touch with the friendly professionals at Prestigious Plantscapes for your free design consultation.